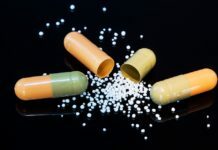 “It quickly became apparent that many of the assumptions about the relative potency of antidepressants compared to placebo were not based on data from the contemporary trials but from an earlier era,” they wrote. 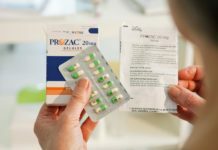 The researchers also compared clinical trial data about antidepressant effectiveness in major depression from non-pharmaceutical industry funded sources and industry trials submitted to the FDA. They did not, however, account for financial conflicts of interest among the authors of the “non-pharmaceutical industry” trials. Nonetheless, the magnitude of symptom reduction for those in the placebo group was found to be higher in the “non-industry” trials. This is an important finding as a lower response to placebo in critical registration trials could inflate the drugs perceived efficacy. “Clearly, investigator and rater bias influences the magnitude of symptom reduction with all treatments, whether they are approved treatments, active controls, passive controls, sham treatments, treatment as usual, waiting list, or placebo,” they wrote. When investigators remained “blinded” to the design and expectations of the study, however, “the symptom reduction with each treatment was of smaller magnitude and the differences among the various treatments and controls were also smaller.” In fact, under these circumstances, the depressed patients, no matter what treatment group they were in, reported symptom reductions that were not significantly different from placebo. 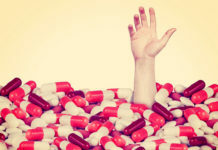 In a commentary to appear in the same journal, MIA author Joanna Moncrieff challenges that there are “no grounds to believe” that these drugs “have specific effects that would justify their classification as ‘antidepressants’.” She points out that the sedative effects of these drugs on their own are likely to have an impact on depression scales. For example, “changes in sleep alone can account for up to 6 points on the Hamilton Rating Scale for Depression.” But that does not necessarily mean that the drugs specifically target the symptoms of depression. This totally reflects Irving Kirsch’s work. A 10% difference between placebo and active treatment is essentially zero when you take into account unblinding by side effects. If we used active placebos, it is likely we’d see no difference whatsoever. I think you are exactly right, Kirsch’s work was right on the money. We know active placebos are more effective than passive ones. I wonder what would happen if an “overactive” placebo were used, i.e., one that had stronger side effects than the drug itself. Or if the patient were deceived (for the purposes of the study) and told he/she was getting the drug when it was actually an active placebo. Hard to believe all this has not been hashed out already…kind of basic to good science. Plus kicking out studies with conflicts of interest would likely do the same. Maybe we should stop calling these drugs “anti-depressants”. The same way we should not call crystal meth an anti-obesity drug (though this one can actually be effective for what it’s worth). Academic psychiatry: The parallel universe where the most obvious truisms are trumpeted as revolutionary breakthroughs. “Major depression” is not a valid, reliable illness. The reliability ratings for major depression in the DSM 5 field trials were close to 0 (0.2-0.3). That means that whether or not one gets labeled with depression or some other “illness” is usually arbitrary. Feelings of depression of varying degrees can be caused by a multitude of different internal and external causes, and the combination of causes in each case is unique to the individual’s situation. Therefore these studies of “major depression” should be viewed with extreme skepticism. The lack of efficacy of psychiatric drugs has always been clinically evident. The same is true for simplistic manualized psychotherapies. Now in addition to the study reported in MIA showing CBT is losing it;s effectiveness, there is another study indicating that manualized psychotherapy research has been tainted by the same publishing bias found in anti-depressant trials (http://journals.plos.org/plosone/article?id=10.1371/journal.pone.0137864). The psychiatric industry has been plagued by the push for so-called evidence based treatments that has ended up supporting obviously inadequate and often damaging treatments. People are not paint-by-number kits. Real people need expert therapists who will treat them as individuals and work with them in a humanistic manner to deal with real emotional issues. For many years now, expert therapists have been thinking “WTF” in seeing ridiculous forms of superficial therapy promoted and expert complex therapies being devalued. It’s time to reject all the bunk and put our efforts to finding ways to really help those in need. The practice of diagnosing and medicating is like a voracious profit-producing beast that needs new, uneducated, poor (financially poor) victims to keep maintaining its profit and power. That’s why educating people is so important so that they can have a chance to avoid or extricate themselves from the maw of the psychiatric leviathan (haha I must sound some sort of evangelical preacher speaking about the devil. But then again, “salvation” would be a better term for what suffering people need than “treatment (for brain disease)”. If many small individuals take action and try to educate others about the fallacy of the diagnosing/medicating approach to life problems, I think there is hope. It only takes a relatively small group to make a big impact. More people must become self-aware and opt out of psychiatry’s poisoned offerings in order for real change to the system. It also serves a political purpose: medicalizing suffering allows the privileged in society to continue to believe that they are better than the masses and that any objection or upset with their “benign” rule is due to failure in the person who is upset, rather than a flaw in the system that allows them to rule and look down on those they consider to be “the rabble.” It further allows those who are directly or indirectly expressing their dismay to be numbed into quiescence so that they will never be able to join forces and undermine the control of the privileged class. Good comment Norman. It never made sense that manualized treatments could be studied objectively. Even they are not like pills: Each therapist will apply them differently, and each client will require a different application even though the approach is supposedly uniform. A good example is DBT for Borderline PD. It can be damaging in various ways but the worst is that it explicitly frames BPD as a biological disease with possible genetic basis that the therapy is helping the person to “manage”. That framing is a disgusting lie. And given the individual nature of these “issues,” it is also ridiculous to think you can have some objective outcome measure, since each person has different objectives and values that inform both their use and their evaluation of the services offered. “Evidence-based” therapy is tainted from the beginning in that their “evidence” is based on the same assumptions as “treatment” with drugs: namely, that “symptom reduction” is the ultimate goal and that the client’s assessment of the goals and success of therapy is, at best, a secondary consideration, if it is even considered at all. You can’t create an evidence base without an objective way to determine who belongs in a particular group and what a “successful outcome” looks like. Psychiatry and psychology have both consistently failed to provide either, and have used their “checklist method” to cover for the fact that they don’t even know if their “treatment group” is a legitimate study group with a common variable to evaluate, let alone whether those so “treated” have made any measurable progress, since we really have no agreement or means of establishing what “progress” even means. The only appropriate measure of whether therapy “works” is whether the person receiving it says that it works, and that will never be a scientifically measurable outcome. Different approaches work for different people. There is no cookie-cutter way to do it, and efforts to provide one only create confusion. Which, no doubt, is the real purpose of “evidence based” therapy evaluations. I agree with this thinking Steve. If you have not read it, I think Barry Duncan (The Heart and Soul of Change, the Heroic Client, books) does a good job of mixing the qualitative and quantitative approaches to measuring effectiveness of psychotherapeutic relationships. He always makes the point that it’s the perception of the quality of the therapeutic relationship by the client that matters most. Where is that in these studies? I agree with your comments about DBT. It is also another form of therapy that has been overly promoted and manualized. While your comments about how DBT frames BPD are true, it is probable that DBT as it was done by Linehan’s group was helpful as it provides a lot of support for both patients and therapists and a lot of consistency and empathy. I’ve never believed, ( as is probably true of most therapies) that it has been specific techniques of DBT that may be most helpful. However, many centres are taking the techniques, dropping the holding and humanistic aspects, and marketing the resulting therapy. This seems ridiculous to me.